Puebla de Zaragoza is located less than two hours drive from Mexico City and offers visitors stunning colonial architecture, mouthwatering cuisine and an intriguing history. This was the site of the battle of 1862, which is celebrated on an annual basis in Mexico, known as the 5 de mayo holiday. If you are taking your kids with you, they will be excited to go on a visit to the Africam Safari Park. This city is the 4th largest in Mexico and one of the oldest. It has been chosen as a World Heritage site by UNESCO. 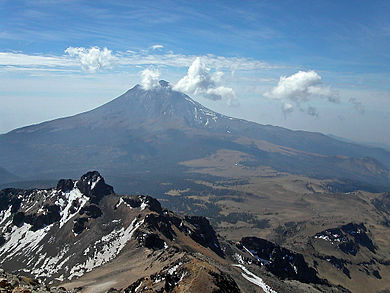 Puebla de Zaragoza is flanked by volcanoes and can be reached 80 miles southeast of Mexico City. Although it can be visited on a day trip from Mexico City, it would be worth your while staying there for a few days to allow you to see all it has to offer. If you intend travelling to Mexico by car, you should ensure that you obtain Mexican auto insurance prior to leaving your home city. If you are travelling from the US or Canada, you should not simply assume that your current car insurance is valid in Mexico, because it is not. It is not a problem to obtain Mexican auto insurance as you can purchase it online or at the border post, if you do not have the time to do it online. You can purchase your Mexican insurance policy from this URL. It is a good idea to determine exactly what you require before you start your online search. If the value of your vehicle is quite high, you may want to consider choosing a comprehensive policy, instead of a liability only version. This will ensure that should you be in an accident, you will not experience problems with repairs or replacement of your vehicle. 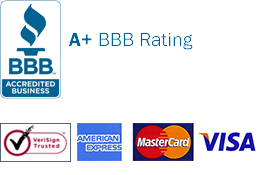 You may want to include some of the additional benefits, such as bail bond or legal assistance. These may come in handy if you are involved in an accident as you could spend some time in a jail cell if you have not been proven to be innocent or you do not have a valid Mexican vehicle insurance policy. This also makes it imperative that you print a couple of copies of your policy so that you can produce it when asked about it. Pueblo was founded during 1531 and named Ciudad de los Angeles as it was a bastion for the Spaniards, placed half-way between the port of Veracruz and Mexico City. Its name was later changed to Puebla de los Angeles. During the Battle of Puebla in 1862, the Mexican troops defeated the French and their victory is celebrated throughout the country as the 5 d mayo holiday. The battle was commandeered by General Ignacio Zaragoza, who died soon after the event. In his honor, the city was renamed Puebla de Zaragoza. There are several day trips from the city, such as Cholula, which is only six miles away, where you can visit the Great Pyramid of Cholula. This is one of the largest pyramids in the world, with the Virgen de los Remedios Church placed atop it. The Africam Safari park will give you and your children the chance to see a wide range of animals, such as tigers, buffalo, giraffes, rhinoceros and lions. It is only ten miles from the city and there are daily buses. I’ve enjoyed visits to Ensenada, San Quintin and El Rosario. I haven’t adventured to Lareto though there are few of my friends who live there. Thanks to your inspiring info I really have to extend my online Mexico auto insurance so that I can sample this new place. Just as you adventure to have the best view of Mexican scenery, you too can adventure to have the best of Mexican cuisines. However, as you drive on your adventure, make sure that your car is covered by Mexican insurance policy. 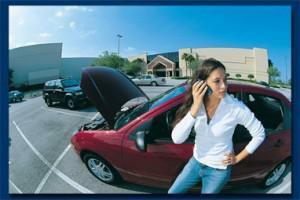 Most Mexican insurance companies do allow extension of your policy. However, very few do allow cancellations. Read your policy details to be certain that you are safe in case of any eventuality. My insurance makes me feel confident on the road. My brother also got his car insurance from Mexican Insurance Store. His claim was quickly granted and it was a complete hassle-free process. Good, both of us have our auto insurance from the same insurance provider. Make sure that your Mexican Insurance is hand carried by you anywhere you drive. It gets less worries and hassles knowing your coverage is there for your protection. One way to enter the border as quickly as possible is by having Mexico insurance. This is one of the documents required before any car is allowed to pass by the border. Check on all the essentials before leaving for your vacation in Mexico. Make sure to bring your Mexico insurance policy. Rocky Point area is not just a resort but also a shopping venue. The markets and craft fairs are close to the beach. You can arrange for towing or other support services via your Mexico insurance for Phoenix Arizona residents, as well as legal assistance for serious accidents. Your Mexico insurance policy is acceptable in the country because it meets Mexican law requirements, so secure one now to avoid any legal road issues. Try walking across the border zone and you’ll be surprised to see beauty services. Bringing your car would allow you to drive outside the local area. All Mexican Insurance Store policies allow you to drive in ALL parts of Mexico. No restrictions. You won’t have any problems acquiring your Mexican insurance. In fact, it is already translated in English to give you more convenience.